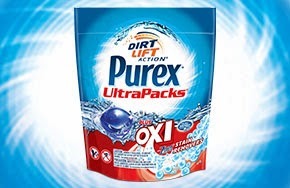 Purex Ultra Packs are a revolutionary new way of doing laundry! No more messy lids and guesswork on how much soap to use. These are so easy that my 6 year old can run the laundry! Have to travel to the laundrymat for washing your clothes? This convenient pack is super easy to take with you and have your laundry done in a flash with no mess! Great for college students too. The highly concentrated packs dissolve in the water and wash clothes just as good as Purex products are known for. I was very pleased with the quality of the wash and the nice clean smell of the clothing. Since 1922 Purex has been making great laundry soap at exceptional prices. Companies like this with staying power are ones that have surely proven themselves over time. Purex Classic Scent! 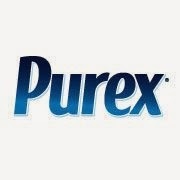 Purex is all I use! We use whatever we can find the best coupons for! I am currently using Wisk. currently I use my homemade laundry detergent with borax,fels naptha,and washing soda, thank you! Currently we use Xtra with OxiClean! I switch between my homemade detergent and Purex! My current laundry detergent is Purex. I have Purex Free & Clear right now. I use regular Purex right now.